If you own or work for an eCommerce website (small or large), chances are that a significant percentage of your prospective customers are getting to your checkout page and then leaving in droves. Let’s take a look at the art of reducing checkout abandonment and how you can fix it — starting today. 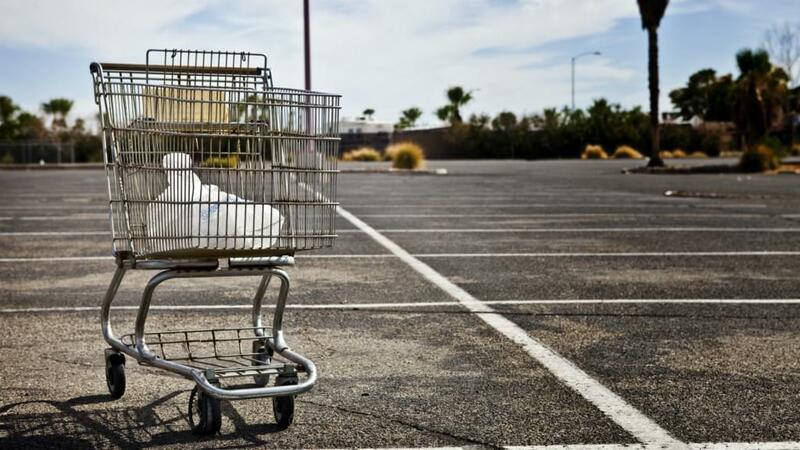 Statistics on the percentage of abandoned shopping carts are staggering — from over 75% according to SalesCycle, to a low of around 60% according to MarketingSherpa. Whatever the exact figure is, it’s bad. 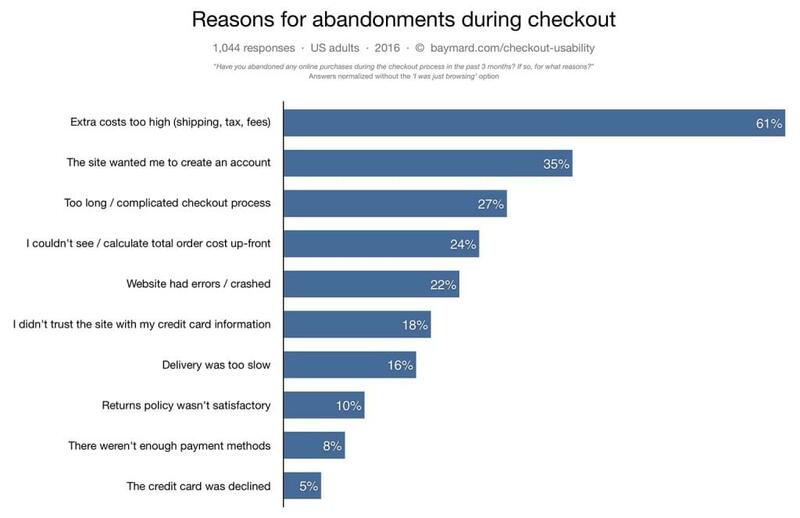 Research shows that the number one reason consumers leave eCommerce websites during the check-out process is because of “extra costs too high” (i.e. shipping, tax, fees). These are followed by the website asking you to register an account (the lack of a ‘guest checkout’ option), long and complicated checkout processes, not being ready to purchase, high product prices, the need for a Save/Wishlist feature and more. One such research study was conducted by the Baymard Institute in 2016 with 1,044 response participants throughout the US. Similar research findings were uncovered by Forrester Research, BI Intelligence, VWO and many other firms. A thorough usability study conducted by the Baymard Institute found a whopping 520+ usability-related issues concerning the checkout process — and these were on big-name shopping sites like 1-800-Flowers, Levi’s, and Apple. You’d think they’d know better, right? It just goes to show that a poor customer checkout experience isn’t limited to SMBs. The good news is that all of these issues can be fixed, leading to a smoother, more seamless checkout process. Of course, it’s one thing to tell you why customers are leaving, but it’s another thing entirely to guide you through how to fix the issues that cause them to give up. Let’s go through some of the biggest problems and how to fix them. With the rise of Amazon Prime offering free two-day shipping on everything from electronics to pet food, it’s easy to see how customers have adapted to expecting things to be here sooner rather than later. But you’re not Amazon, so does that mean you have to simply deal with disappointing customers with slow or high shipping costs? Not necessarily. Depending on where your business is based, you may be able to work with local couriers to help streamline your shipping process. Traditionally, this would require a heavy investment in customized, in-house software to pack and track items, which is the route that Amazon took. Thankfully for the rest of us, there are plenty of specialized shipping software solutions that integrate the most popular couriers in your local geography while enabling you to manage tracking, shipping, inventory and in some cases, even accounting and fleet management. And while there’s not much you can do about high taxes (short of setting up shop elsewhere), you can help soften the blow through the strategic use of coupons and geo-fencing, which involves defining a perimeter area that notifies customers in that area of special deals and discounts. One of Australia’s leading eCommerce retail brands not only offers free shipping over a certain amount, but tells you how much to add to your card in order to qualify for it. By offering multiple payment options (including AliPay), they open themselves up to flexibility of payment methods. But perhaps the biggest and most impactful change you can make (if at all financially feasible) is to offer free shipping, which is the biggest contributor by far to higher conversion rate numbers. Just how far are customers willing to go for free shipping? According to a ComScore study, 90% of customers surveyed would take significant actions to qualify for free shipping, including 58% who said they would add more items to their cart in order to qualify, and half who said they would choose the slowest shipping option. On the other side of the spectrum are website-specific issues often related to the shopping cart platform or the technology that powers the site itself. There are two issues here — the speed of the website and the speed of the checkout process. Both can affect customers interchangeably. While there’s some skill in knowing which of these may be ‘false positives’, GTMetrix provides a wealth of information on where to start in terms of improving performance and load speed (which can be a complicated subject). Best-practices like using CSS sprites are useful opportunities for load speed optimization (although not so commonly applied). Since this is SitePoint, I won’t go into detail with what’s necessary to fix each of these problems — but if you run into any difficulties, grab your nearby server administrator and fellow front-end devs and start working through each. Failing that, doing a Google search for “fixing [issue]” and the relevant reading can be used to solve almost any load speed issue. 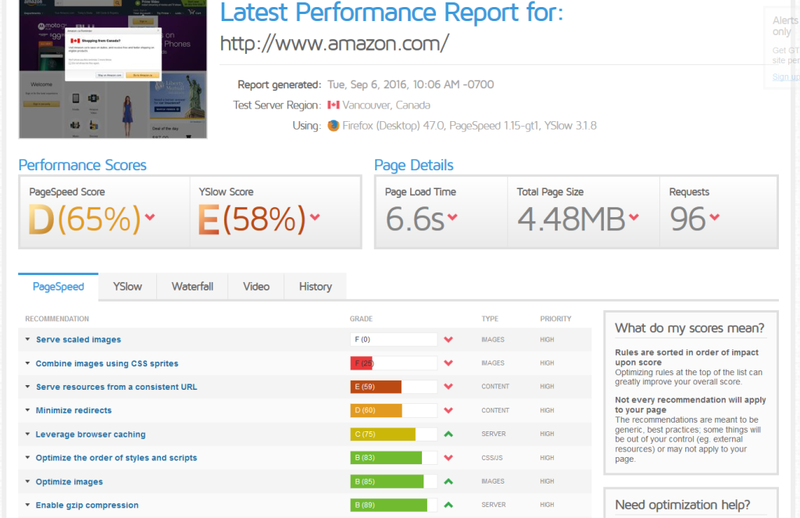 Even if your page is blazingly fast, what about the checkout process itself? Unusually complex checkouts, a lack of guest registration and even requesting too much information on the checkout form are small but nevertheless significant areas of concern for customers. Kogan.com, Australia’s largest online department store, has a streamlined and simplified check-out process. They’ve gone for a multi-step check-out process (allowing for cart recovery e-mails if a visitor drops out after ‘Step 1’). The elegant usage of HTML5 placeholders for each form field, clear reminders of what’s in the cart, total order value and total delivery cost instill trust in the customer. The usage of the word “Secure” prior to Checkout also instils trust. You can get through the checkout faster by using a social login such as Facebook or PayPal. They’ve also used the word “Continue” rather than “Submit” for the primary call-to-action button. Getting to the Thank You page is a customer’s end goal, but many sites throw up every conceivable hurdle to try and prevent them from doing that. 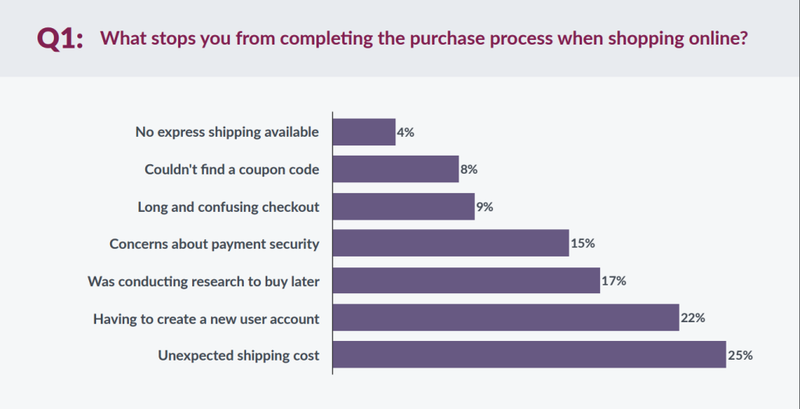 One common complaint from users is that the checkout process requires too much information. While most shopping carts have a fairly standard and unassuming billing/shipping detail window, there is certainly room for improvement. For example, a one-page checkout has been shown to be highly effective. Amazon even went so far as to patent a 1-click checkout process. Fortunately, depending on the shopping cart platform you use, there may be one-page checkout options available. Currently, these exist as plugins and/or extensions for a variety of popular cart systems including WooCommerce, OpenCart, Magento and more. Is One-Page Checkout the Panacea to All Our E-Commerce Conversion Woes? Not exactly. There are some tests, noted in the Baymard Usability Report, that showed multi-page checkouts converting better than single page and vice versa. They discovered that the core issues causing usability problems were not related to the number of pages in the checkout itself, but rather the individual items (not being able to mark the shipping address the same as billing, for instance) that caused users the most frustration. It all boils down to testing. Test and note any user frustrations, irritations or outright confusion that causes friction and uncertainty and leads to cart abandonment. Every target audience is different and has their own preferences and pre-conceived notions in mind about how to proceed through checkout. Any stumbling blocks that are thrown up in their path — regardless of the number of pages in checkout — are things that should be noted and fixed right away. But no matter which checkout system you have in place, there’s still the issue of forced registration. Requiring users to register before being allowed to checkout (or not allowing check out as a guest) is another surefire way to stop any order in its tracks. 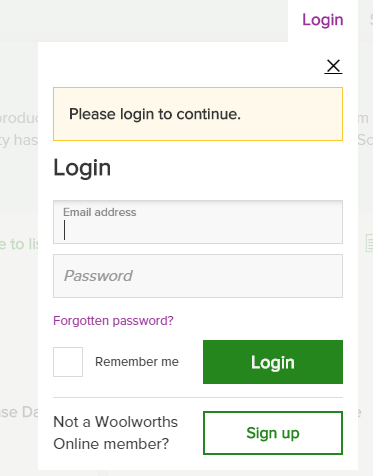 Frustratingly, when you go to order your groceries via the online portal for the Australian Woolworths supermarkets, it forces you to log in or register a new account. There is no way to complete your order as a ‘guest’ without having an account. While from a business standpoint it would seem that requiring registration is a smart idea (because you want to be able to follow up with them and send them special offers), it gives the user nothing in return for their actions. Maybe they’re in a hurry, or purchasing something as a gift and they don’t really want to be bombarded with offers or catalogs in the mail. They just want to check out as smoothly and uneventfully as possible. Oftentimes, smart checkouts will encourage the user to optionally register in order to save their order for faster checkout next time, or to create and save wishlists and other features not available to guests. Which brings us to another consideration — the purchase itself. It’s highly possible that users land on your site, are interested in the product, find the price and shipping agreeable, and then leave. Judging by the original chart, it could be that they’d like to simply save the item for later, or they just weren’t ready to purchase. For the former, many popular shopping cart platforms have a wishlist functionality built in. And, while it doesn’t directly lead to a conversion at that moment, there’s always the option to follow up with customers at specific intervals to remind them of the items they have saved in their wishlists — particularly if there has been a price drop or sale in that category. Best of all, ‘Add to Cart’ or ‘Wishlist’ events can give you a treasure trove of data in your analytics tracking system (such as Google Analytics) and can even be used for website personalization. So what do you do with users who don’t want to save the product for later, but instead insist that they’re not ready to purchase? The answer lies in the buying funnel. Rather than being a basic path from start to finish, the path to purchase is more like a winding street that doubles back upon itself again several times over. Your customer may have found your site through Google, but then goes through the process of finding the best price on the item, checking prices at other sites, comparing shipping options, going offsite to find coupons, comparing colors, sizes or other options. They may even take to social media to ask for recommendations from friends and family. So as you can see, a conversion is anything but a straight shot. The customer might also be having second thoughts on purchasing if you don’t have their preferred payment option available. This is particularly true of stores that accept (or don’t accept) PayPal. Many customers are reluctant to put purchases on a credit card, and yet if credit cards are all you accept (and not direct purchases from the bank via PayPal), a customer may go elsewhere to where PayPal or their preferred system is accepted. Finally, even after all of these points have been fixed and your checkout process improved, you may still notice a significant drop-off in customers who have only purchased once and never returned to the site. Assuming the item(s) you sell are not a one-off purchase, how do you get them back? One of the main reasons why customers don’t return to an online store even after a successful checkout is the after sales service (or lack of it). They make a purchase and then suddenly their inbox is inundated with sales announcements, new products, discounts and more. And while you may think that you’re doing the customer a favor by letting them know what new things are in store and when sales are going on, remember that your customer likely doesn’t see it that way. For many of our eCommerce clients, we’ve run Net Promoter Score (NPS) studies with their recently purchasing customers using Delighted. This allows you to take a quick snapshot to determine if you have post-purchase problems that are preventing a better lifetime customer value and eCommerce retention. The NPS study we completed for a well-known eCommerce brand as part of the conversion audit research using Delighted included a sample size of 3,000 recently purchasing customers from their eCommerce store from the last 90 days. With 467 responses, 83% of respondents were classified as promoters. This is an unusually high NPS score (on a scale of -100 to +100), reflecting their excellence at handling post-purchase questions, quick shipping speed and quality of post-purchase transactional emails. But rather than risk losing them completely, give them the option to edit their mailing list preferences. Maybe they’d only like to hear from you when there are major sales, or maybe they want to know about product announcements, but only a few times per month. Most email marketing systems will let customers access their respective subscription (sometimes called a profile or account) and update their preferences accordingly. The bottom line is that when it comes to improving eCommerce checkout conversion rates, looking at the process itself won’t solve all your problems. Digging a little deeper to see why customers aren’t buying, and determining how to make the process as push-button simple as possible should be the end goal. To this end, it’s essential to conduct high quality usability and conversion research — use survey polls, watch live user recordings throughout the checkout process and see where users are getting stuck and dropping off. It isn’t a one-size fits all in check-out optimization — every eCommerce business has different audiences with different pain points causing them to drop off throughout the checkout funnel. Above all, always look at your process from start to finish through the eyes of your customer. Anything that isn’t conducive to creating a sale should be removed. It may sound counter-intuitive, but don’t give the customer any reason to want to go offsite — whether that means reading more about the product, looking for coupons and so on. If they can’t get everything they need from your site, you can bet they’ll go elsewhere to find it! 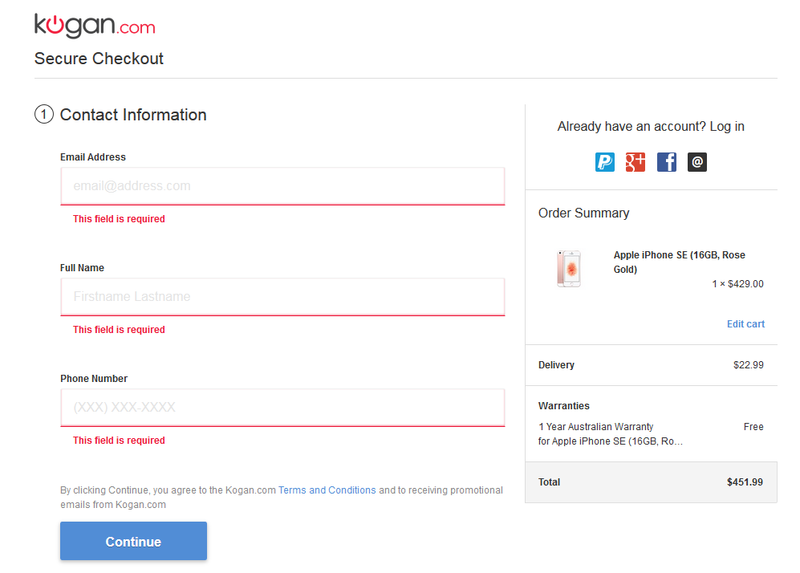 Try these checkout fixes on your own site (or your employer’s site) — ideally by A/B testing them — and watch the measurable impact. James Spittal is the founder of Conversion Rate Optimisation and A/B testing obsessed digital marketing agency, Web Marketing ROI. They help brands with high-traffic websites optimize their conversion rate using A/B testing and personalization.